Calculating and understanding your carbon footprint has become generally accepted practice. Organisations use carbon footprinting to identify greenhouse gas hotspots, understand the use of expensive inputs like diesel, electricity and fertilisers and to communicate their sustainability credentials. Once you know and understand your carbon footprint you can set targets to reduce it. Unfortunately few businesses set clear carbon reduction targets, and the few that do often choose arbitrary targets like “reduce electricity use by 20%”. With the effects of climate change becoming a reality, consumers are rightly asking if “reducing electricity by 20%” is enough to slow down and eventually stop climate change. This is where science based climate targets come in. In 2015 the Paris Climate Agreement was negotiate by 196 countries and to date 174 countries have become party to it[i]. This agreement aims to keep the global temperature rise this century “well below 2 degrees Celsius” compared to pre-industrial levels. This ‘hard’ target makes it easy to determine science based carbon budgets to achieve this. Broadly speaking the 2 degrees Celsius target means we have to ween ourselves of fossil based inputs by 2050 (the latest research shows even this may be too little too late, but that is a discussion for another time). What is a science-based climate target? 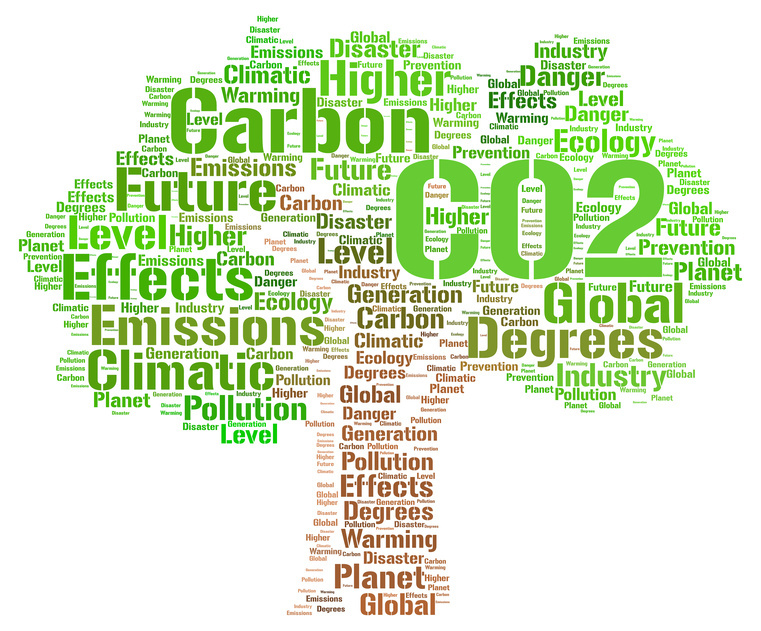 A carbon target is defined as ‘science based’ if it is in line with the level of decarbonisation required to keep global temperature increase below 2 degrees Celsius compared to pre-industrial temperatures.[ii] . A science-based target thus defines a trajectory to move out of fossil fuel based inputs by 2050. Targets can be described as “weak” when not science based, and “strong” when they are. 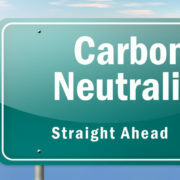 As society increasingly feels the ‘bite’ of climate change, and its bigger brother, ‘abrupt climate change’, so the demand that businesses and their associated supply chains set meaningful and impactful carbon reduction targets is gaining momentum. It is important to understand that science-based climate targets are very ambitious, long term in nature and will take businesses out of their comfort zones. Imagine fossil-fuel free logistics connecting your business to your suppliers and markets. This is the new reality we have to create for ourselves if catastrophic climate change is to be effectively avoided. 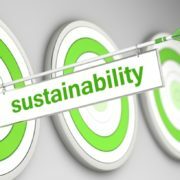 Adopting science-based targets puts your business and supply chain at the forefront of carbon management and reduction. Who ensures the credibility of science based targets? Step 1: Submit a letter of commitment. Step 2: Develop a target. Step 3: Submit the target for validation. Step 4: Announce the target. Which agri and retail businesses are perusing science based carbon targets in South Africa? Internationally, Marks & Spencer, Tesco and Wal-Mart Stores have gone a step further and set science based climate targets with the initiative. So there remains a long way to go but the signs are positive that companies are beginning to understand that their targets need to move from “weak” to “strong” if they are to make any meaningful contributions to the de-carbonisation of our economic systems. The emergence of the concept of science-based targets and the formation of the Science Based Targets Initiative are important developments to both challenge and support businesses and supply-chains in this regard. To effectively realise and respond to the opportunities and challenges posed by climate change the Confronting Climate Change (CCC) Project was started in 2009 as a strategic cross-industry initiative aimed at supporting the South African fruit and wine sectors’ efforts. Besides provision of a freely available on-line carbon emissions calculator, the CCC initiative promotes technical training supporting its adoption and use and has actively engaged with the retailers and importers to secure their support for the project. 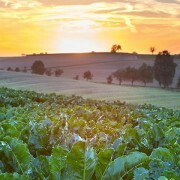 The results are accepted and feed into existing retailer sustainability requirements. This helps to avoid duplication of carbon footprinting systems. 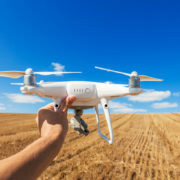 Farms, packhouses, wineries and other entities across the supply-chain are enabled to undertake accurate measurement of the energy-use and carbon-emissions intensity of their respective business activities. Such measurement is generally accepted as a prerequisite for the effective management towards greater resource-use efficiency, reduced emissions and the long-term sustainability of business activities and operations. The management principle of “you can’t manage what you don’t measure” applies. 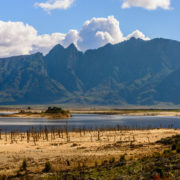 The electricity consumption for the pumping of water is the largest source of farm-level carbon emissions since South African grid supplied electricity is predominantly coal based, and therefore carbon emissions intensive both in production and use. The most significant factors determining the energy requirements being the irrigation intensity of the crop and the pumping “head” of the farm. The second biggest emitter at farm level is the usage of synthetic nitrogen-based fertilizers. As the production of all synthetic fertilisers is energy intensive and in South Africa, the energy is predominately fossil-fuel based, making these inputs carbon emissions intensive. On the use side, the inefficient or over application of synthetic nitrogen fertilizers results in large amounts of nitrous oxide (N2O) emissions, a very powerful greenhouse gas: once emitted to the atmosphere, one ton of nitrous oxide is equivalent to 300 tons of carbon dioxide (CO2). In addition, the prices of these inputs will continue to rise as the fuel prices go up, increasing the risk of increased input costs at the farm level. The more natural products are often multi-beneficial in that they increase soil health which does not only lessen the requirement of synthetic additions, but also improves water retention and productivity. Commodity groups that require more intensive fertilizer programmes will have higher carbon emissions than those that utilize more conservative and natural soil enhancement practices. Most of emissions at packhouse level are related to packaging material. The pome fruit and citrus (hard) packhouse emissions are the lowest of all fruit types, pointing to the less intense packaging requirements of these “harder” fruit types. Winery hotspots relate to the use electricity for cooling and virgin packaging material, particularly glass and corrugated cardboard boxes. The use of wooden barrels also plays a significant role in the winery emissions as these barrels are often imported. These activities form most of the carbon emissions throughout the supply-chain and should therefore be targeted as a priority area for improved efficiencies and alternative product usage. Look at the individual inputs to your business and learn from the report what percentage they contribute to your total carbon emissions. Start to manage those that result in the highest emissions in your business. Look at the consumption figures (e.g. electricity used per kg of fruit produced or per ha) and compare your business with the benchmark for your region and commodity. Don’t forget to think out of the box! 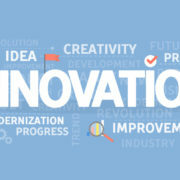 Change the paradigm and aim to be innovative in your approach in mitigating and adapting to climate change. https://bluenorth.co.za/wp-content/uploads/2018/02/CCC-Logo-Large-3.jpg 310 776 Anél Blignaut https://bluenorth.co.za/wp-content/uploads/2015/12/Blue-North-Logo-Header-300x125.png Anél Blignaut2018-02-22 09:21:112018-04-13 07:53:44Understanding and addressing the carbon emission hotspots within your supply chain. Confronting Climate Change has for a number of years provided a freely available carbon calculator tool. Apart from supporting the fruit-and wine industries of South Africa with the use of the tool through training opportunities and direct support, we would also like to assist the users of the tool to move forward from the measurement of their carbon emissions towards the reduction of these emissions. 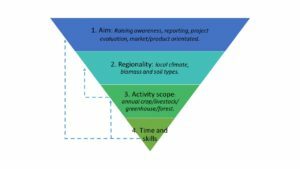 Although each organisation has its own structures and limitations or opportunities, a few logical steps are provided to guide you through the process of managing and reducing your carbon emissions. Please keep in mind that to reduce your carbon emissions is a long-term process, which should be approached in a step-by-step manner. Find a reputable service provider to compile an energy audit for you. What is an energy audit? It is a systematic approach that will tell you: What you are using; where you are using it and how much you are using? Then an assessment is needed to identify the appropriate options to reduce your energy usage. Reduce your energy consumption by implementing energy efficient practices as recommended in your audit report. This may take place over time as it will have both cost and operational implications. There are a number of technologies and energy efficiency measures that you can implement on your farm, packhouse or winery. What works for one business does not necessarily work for another and that is where the importance of an energy audit lies. However, we can learn a lot from others. Short case-studies are presented below that represent a selection of either green energy technologies or energy saving measures. Please note that there are a myriad of options available and that this information piece is only presenting a summary of a few technologies. It is very important that before you consider the installation of alternative energy, that you consult with an independent energy consultant rather than a supplier themselves. An investigation conducted by GreenCape listed a number of solar PV case-studies that are presented below. This is a device that can adjust the frequency to regulate and adapt motor speed to match the actual demand required by the system or application it is driving, resulting in reduced energy consumption. Reducing a pump or fan speed by 20% can reduce energy consumption by more than 50%. Installing a VSD will regulate the speed and rotational force – or torque output – of the motor to match actual demand so that it doesn’t work faster than it needs to. A VSD improves power factor correction and has a soft starting function. When a VSD is not feasible, soft starters or power factor correction can be considered instead (ESKOM Integrated Demand Management, 2015). Distances between the blocks of land and the pump stations are different, causing a variation in friction loss and power requirements. Irrigation blocks are uneven in size and a different number of sprayers or drippers are required. Irrigation blocks are on sloped topographies, requiring different pressures and power. The pump and motor are oversized and water delivery needs to be throttled. A second-hand pump and motor are used for the application and water delivery needs to be throttled (ESKOM Integrated Demand Management, 2015). A case-study on energy efficient lighting at the Kromme Rivier Poultry Farm, South Africa was available on the ESKOM Integrated Demand Management website. It provided useful information on the savings that can be achieved through the replacement of mercury vapour lights with LEDs. Saved R60 053 per annum. Problem: High electricity bill of R360 000 and power outages resulting in a major impact on electrical equipment. Solution: Water on the farm is obtained from springs in the Witzenberg Mountain Range and was ideal for hydro-electric generation. Savings: The farm saved 50% of their electricity bill during the fruit season (demand 124kWh) and is entirely self-sufficient during winter. Technology: The hydro-electrical unit can deliver at least 29kWh. They have installed four small turbines in parallel so that they can run the system on one or two turbines when the water flow is low. A turbine can also be services without having to switch off the entire system. Electricity is also stored in a battery bank with a total storage capacity of 30kWh. To generate electricity from water you need a water source and a height of about 100m. Water flows from a top reservoir to the bottom reservoir and generates electricity during the high-tariff period, then it is pumped back to the top reservoir during the low-tariff period. Payback: It is estimated that they system will take approximately 5 years to pay for itself, through savings on electricity bills and repairs (Kriel, 2015). Who can we contact for help? National Cleaner Production Centre (NCPC): They conduct subsidised energy assessments to identify savings based on usage, and provide recommendations for energy saving options. They can also link you to government incentives that can help you to reduce costs. You can visit their website at www.ncpc.co.za and complete an application to undergo an assessment. Janse van Vuuren, P. 2016. GreenCape Industry Brief 01/2016. 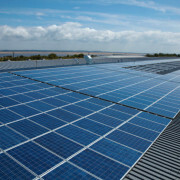 Solar PV on packhouses. ESKOM Integrated Demand Management, 2015. Variable Speed Drives: Reducing energy costs in horticulture. ESKOM Integrated Demand Management, 2013.